The BT Group has published their latest results for Q3 2017 (calendar), which saw their retail broadband base add 22K subscribers to total 9,307,000 (up from 19K in Q2 vs 29K in Q1) and this includes 5.285 million “fibre broadband” FTTC/P users (up by 179K vs 170K in Q2 and 211K in Q1). Broadly speaking the last three months have been a lot kinder to BT than the first half of the year. During the quarter BT pledged to cut its carbon emissions by 87% for 2030 (here), proposed to deliver the Government’s 10Mbps USO (here), cancelled the launch of a Dark Fibre product (here) and replaced it with something else (here). Meanwhile they’ve also started to extend their 330Mbps G.fast broadband pilot to 1 million premises (here), consulted on a “large scale” FTTP rollout (here), engaged in a legal battle with Three UK over Ofcom’s forthcoming 5G mobile auction (here) and cut the price of 1Gbps – 10Gbps Cablelink services for ISPs (here). 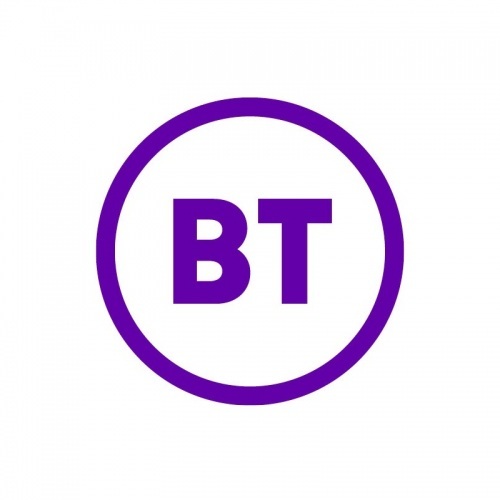 As usual BT has also issued an update on their capital expenditure and clawback (gainshare) from the Government’s Broadband Delivery UK roll-out scheme (i.e. public investment returned by BT due to rising take-up in FTTC/P covered areas), which reveals that £477m (up from £465m last quarter) of public funding may potentially become available for reinvestment into further UK coverage of “fibre broadband” services. Our base-case assumption for take-up in BDUK areas remains at 39% of total homes passed. Under the terms of the BDUK programme, we have a potential obligation to either re-invest or repay grant funding depending on factors including the level of customer take-up achieved. While we have recognised gross grant funding of £52m (Q2 2016/17: £34m) in line with network build in the quarter, we have also deferred £13m (Q2 2016/17: £21m) of the total grant funding to reflect higher take-up levels on a number of contracts. To date we have deferred £477m (Q2 2016/17: £292m). The Government has already signalled that it intends to use this reinvestment to help push the coverage of “superfast broadband” to approximately 98% of UK premises by around 2020 (here). BT’s retail broadband ISP continues to hold the largest single share of “fibre broadband” subscriptions on Openreach’s national UK network (details below) and growth appears to be strong (quite a few of the additions are likely to be upgrades from older ADSL services). Elsewhere BT’s mobile base (EE) continues to bleed customers, although their 4G subscribers have grown from 19 million in Q2 to 19.4 million now. EE also reported that their geographic (landmass) 4G network coverage of the UK is now 86% and they aim to reach 95% by the end of December 2020. Finally, BT’s Pay TV base is still struggling for growth. Openreach’s national telecoms and broadband network serves various ISPs across the United Kingdom, including BT itself (i.e. the total broadband and “fibre” lines listed below combine customers from BT’s own service as well as many other ISPs). At present the operator’s “fibre” network covers 27.1 million UK premises and the majority of those are reached via their slower ‘up to’ 80Mbps capable FTTC (VDSL2) services. Meanwhile around 770,000 can access an “ultrafast” (100Mbps+) FTTP or G.fast connection (up from 550,000 in Q2). G.fast is still in the pilot stage but should cover 1 million premises by the end of 2017 before rising to 10 million by 2020 (the total will be 12 million when FTTP is included). Note: Unbundled (LLU) lines are mostly used by ISPs that have installed some of their own kit inside Openreach’s network in order to gain more control over their products and prices (e.g. TalkTalk and Sky Broadband). On this front fully unbundled (MPF) lines are more popular because they give ISPs the most control and flexibility to differentiate themselves. It’s worth noting the quarterly increase of +505,000 in new “fibre broadband” (FTTC/P) lines, which includes the +179,000 added via BT’s own ISP. The outcome means that BT’s rivals accounted for +326,000 of the total increase (sharply up from +267K in Q2 and +309K in Q1). Separately, BTWholesale delivered a total of just 877,000 external broadband lines for other ISPs, which is down by -11,000 in the quarter. “Our first half results are in line with our expectations as encouraging results in our consumer facing lines of business, notably EE, helped offset ongoing challenges in our enterprise divisions, in particular Global Services. Given our underlying business performance, we are maintaining our outlook for the year. As the UK’s leading converged telecommunications provider we continue to make positive progress on all our strategic priorities. Improving customer experience is critical to our success and we have seen continued positive progress underpinned by investments in operational improvements, increased network quality and customer-centric product development. Our integration and restructuring programmes are also on track to deliver run-rate savings of £250m and £150m respectively by the end of this year. We are working closely with the UK Government, Ofcom and our Communications Provider partners to find the right solutions to accelerate the deployment of fibre and our universal broadband commitment. We are committed to delivering ultrafast speeds to 12 million premises by the end of 2020. The latest set of results was fairly mild compared to the turbulence of previous quarters, although there are a few developments to watch out for over the coming months. Firstly, the roll-out of G.fast is now starting to gather pace and several ISPs (smaller providers) have indicated that they could launch related packages before the end of 2017. Likewise there’s a big question mark over the outcome of Openreach’s FTTP consultation, which ended last month and could result in a large-scale deployment of their 1Gbps capable “full fibre” (FTTP/H) network to possibly as many as 10 million premises by around 2025. Various ISPs have engaged in this and different models have been considered. We should know more once their network strategy is published by the end of 2017. The other development to keep an eye on will be whether or not the Government’s chooses to adopt BT’s proposed solution for the 10Mbps Universal Service Obligation (USO), which is still being decided. However, perhaps the biggest impact could come from Ofcom’s review of the wholesale local access market, which might make fibre services cheaper, albeit at the cost of damaging the investment case for FTTP. Keep that Capital Deferral going up and up, £477m and no mention of it in the USO offer, or the OR FTTP consultation! It is about 500k worth of FTTP connections for rural premises, and there is still £500m of BDUK/LA authority monies to go in from the £1.7bn available. How could the deferral be referred to in the USO offer or fibre consultation? It’s use is limited by the individual contracts through which it has been accrued, any decision to spend the money rather than simply take it back is determined by the relevant local authorities in each case. Given the above, which others have explained to you previously, how exactly could it be legitimately referenced as part of the BT USO offer? Or the recent Openreach fibre consultation? Why is its omission a problem? Have you considered seeing a doctor about your BDUK obsession? Why would the capital deferral be mentioned in a consultation about FTTP? It has nothing to do with this. You have been told so many times (but you struggle to listen or understand) that the deferred capital is not a blank cheque for BT. It’s due to be returned or re-invested, the decision of which lies with each LA and not BT! New_Londoner The impact of the omission of the Capital Deferral (CD) from the B-USO is as follows. 1) The 10Mbps declared by Cameron on November 9th 2015 was at a time when the scale of what is owed/excesses was not understood and being actively denied by most. In April 2015 it was ‘tens of millions’. In July 2015 it was £130m. Now it is £477m. It is material to the ambition. 2) The Ofcom/Analaysis Mason DEC 2016 report excluded any analysis of the CD owed and plans of LA’s to go further. Ofcom have not re-modelled the adjusted price control using projections for 2020. 3) Accepting the voluntary offer without netting this off, offers the opportunity for a double payment as strictly speaking this the CD a contingency which can disappear until the sum is paid back or work is credited against it. 4) The risk of the double payment is also present as a further £500m of funds remains available from the £1.7bn to fix what the B-USO is proposing. Openreach in its consultation should have referenced the lessons learned to date. FTTC half the cost expected with higher demand. (£2,5bn of which £1n subsidy for 85,000 cabinets). In this context the CD needs to be referenced because its scale is material to the task in hand. Part of that materiality is accepting that the 2009 estimates of BSG/Analysis are no longer a good proxy, and thus any new incentive requests should be less than previously expected. On its own the scale demands it is referenced as it would fund, if applied a full 2 years of work without any additional incentives – an extra 500k rural FTTP installs. This is before a full reconciliation of BT Capital contributions to the subsidies is made public. If these monies are sitting in LA investment accounts, this should also be made public as these funds were intended for a once in a generation upgrade. Avoiding these points is part of stove pipe, binary decision making process which is superficially logical but lacking rationality as the bigger canvas is ignored. We can see the bigger canvas emerging in the ‘new build and refurbs’ policy (fibre=copper) and in the revised FTTPod positioning, but the bigger picture was ignored in what looked liked a rushed and a consultation of limited scope. Carl T . sorry, there are still too many people being denied upgrades. I saw a Community Fibre Partnership yesterday quoting £3,200 a property, where the underlying costs are less than a £1,000 a property, and where the subsidies/deferrals available could be easily extended to permit this work to occur. How is this acceptable? AH – £477m owed is about two years of engineering, so you can choose to shut your eyes, or you could apply yourself to see how the funds can be converted into coverage as was intended. It is a great opportunity for the UK’s data transport infrastructure. It should be good for Openreach and BT’s shareholders. 500,000 super easy rural, yes agreed… not much of that left, more like 250,000 harder to reach rural! I understand how a Community Partnership cost might be discussed, but struggle to understand the basis for your estimate of underlying costs. That’s what is best defined as completely and utterly wrong. The CD cannot “disappear”. Unless somehow BT has vastly overestimated the take-up of BDUK infrastructure (and, if anything, the reverse is true) that money will either be repaid or will be used for reinvestment as LA BDUK projects decide (and hopefully the latter). In other words, used for what it was intended for. That is not “disappearing”. As for a “double payment”, BT’s voluntary USO does not involve any public expenditure at all, so how on earth can there be a “double payment”. What might possibly be true is that the reinvestment of the gainshare manner will reduce the USO gap, and there are (to me credible estimates) that the non-SF gap may be down to 2% when BDUK runs its course with a somewhat smaller sub 10mbps gap. The evidence from new contracts is that the £477m (much of which is now effectively committed on recently signed extension projects) isn’t going to go anywhere near as far as the cost per premises goes up (including much higher proportions of FTTP). I suspect there is more gainshare to come as I’m certain BDUK take-up will probably go well over 50% before contract end, and not just the 39% recognised by BT at the moment. nb. It is clearly in BT’s interests that as much of the gainshare money made available by the accelerated process is taken up by LA BDUK projects as quickly as possible. BT will not want to cover a wider gap under the USO if the BDUK money is not fully reinvested. Steve, The double payment is already modelled by Ofcom in the WLA price control modification. It is published for comment. A contingency is just that. It is no more. Until it is handed over it cannot be relied upon. The double accounting you refer to is about the WLA costing methodology and not about the USO in particular. It’s more to do with common costs between fibre and copper. Steve, The modelling is to show how the voluntary offer costs would be recovered by an increase in the WLA Price control. 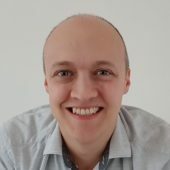 https://www.ofcom.org.uk/consultations-and-statements/category-2/wholesale-local-access-market-review-recovering-the-costs-of-investment-in-network-expansion.